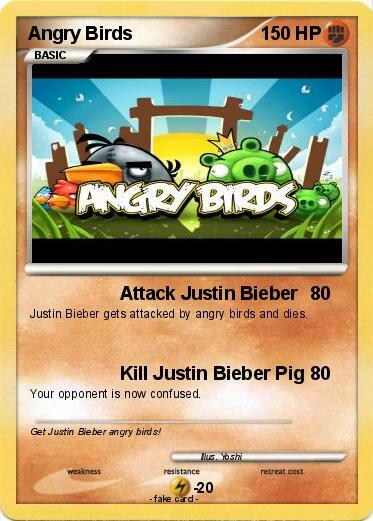 Justin Bieber gets attacked by angry birds and dies. Your opponent is now confused. Comments : Get Justin Bieber angry birds!